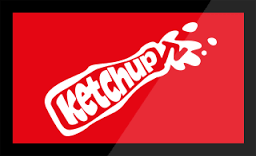 Children's VOD service Ketchup TV has expanded its reach to connected Freesat homes. The service offers free access to children's entertainment and educational programmes, including Ben & Holly’s Little Kingdom, Little Baby Bum, Caillou, Fireman Sam and Thomas and Friends, as well as educational programmes Super Why? and Monster Maths. Plus, this summer on Ketchup TV, kids can look forward to new Sesame Street segments such as Cookie’s Crumby Pictures, Super Grover 2.0, Elmo the Musical and Abby’s Flying Fairy School. "We’re delighted to launch Ketchup TV on Freesat and offer even more great entertainment for kids to enjoy during the school holidays. Ketchup TV is a perfect fit for Freesat as we both offer customers a huge range of free content, without the need for expensive subscriptions or contracts." "The Freesat launch massively compliments Ketchup TV’s desire to deliver children’s premium content, in a 100% safe, simple, on demand environment for free TV viewers. We’re excited to be included in the evolution of free TV in the UK and very happy to be working with the great team at Freesat." Ketchup TV can be found in the on-demand section of Freesat's latest generation receivers. The service is also carried on terrestrial TV service Freeview, where it will move to channel 211 from the afternoon of the 2nd August 2017.